Andy Paul is the CEO and founder of Zero-Time Selling. He has more than 30 years of experience as a sales professional and vice president with companies ranging from raw startups to the Fortune 500. 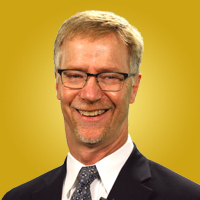 He is a sought-after speaker, executive sales coach and sales process consultant. He is the author of the award-winning books Zero-Time Selling and AMP Up Your Sales. A veteran of multiple technology startups, Andy knows first-hand how to rapidly establish a market presence and sales momemtum for new products.